Three awesome indie gigs tomorrow (6th September) and this is the one I will be attending. See you there! 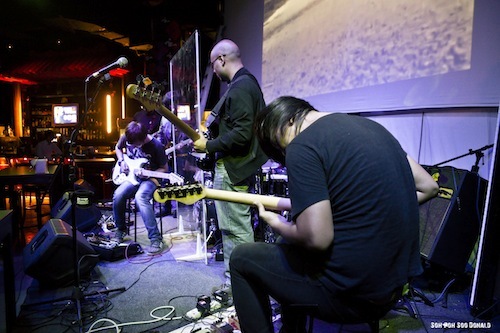 Epic Malaysian post-rock band COMA is coming to Singapore to share the stage with sonic pirates In Each Hand A Cutlass, and fusion geniuses of NeoDominatrix at Hood Bar And Cafe on Saturday 6 September 2014. 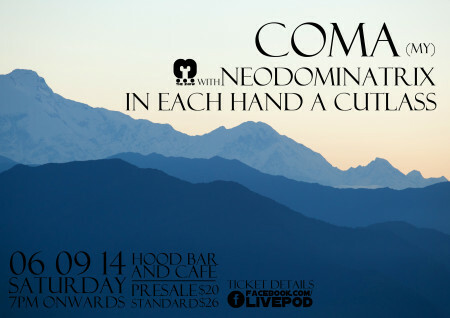 COMA will debut on our shores celebrating its 10th year of music making. Prepare for the onslaught of sensory pleasures induced by an aural blanket tethering on the dark and heavy. Presenting the show is LivePod, a new indie music promoter, and created as an extension of 4 year old art collective SPORE Art Salon. 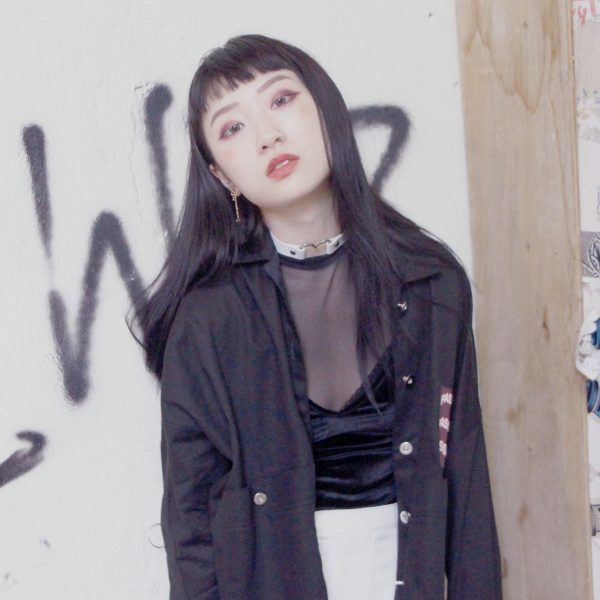 There are several shows in the pipeline that will introduce international bands to Singapore audiences in the coming months, and it is with hope that this endeavour will create new relationships, connecting local bands with international music scenes.